Explore how WWI affected the lives of small town Americans on the home front and overseas in our World War I exhibit. 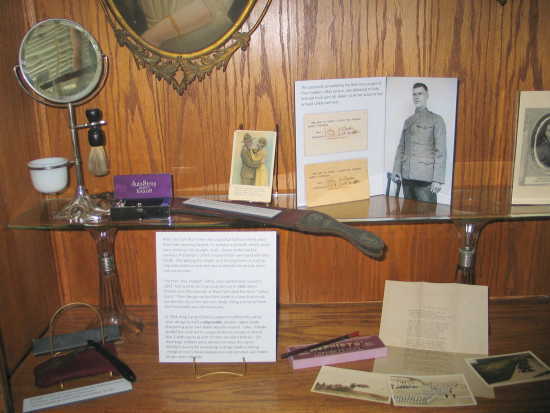 Included in the exhibit are uniforms, photos, personal items, stories telling the World War I experiences of Samuel A. Baker, and other relevant historical memorabilia. Museum hours are: Thursday, Friday, and Saturday from 12:00 (noon)- 4:30 p.m.
Last date to view this exhibit is December 29, 2018.